LBUSD News (01/22/15) Celebrating Martin Luther King, Jr.
Students, staff and school district officials honored the memory of Martin Luther King, Jr. by participating in the annual Martin Luther King, Jr. 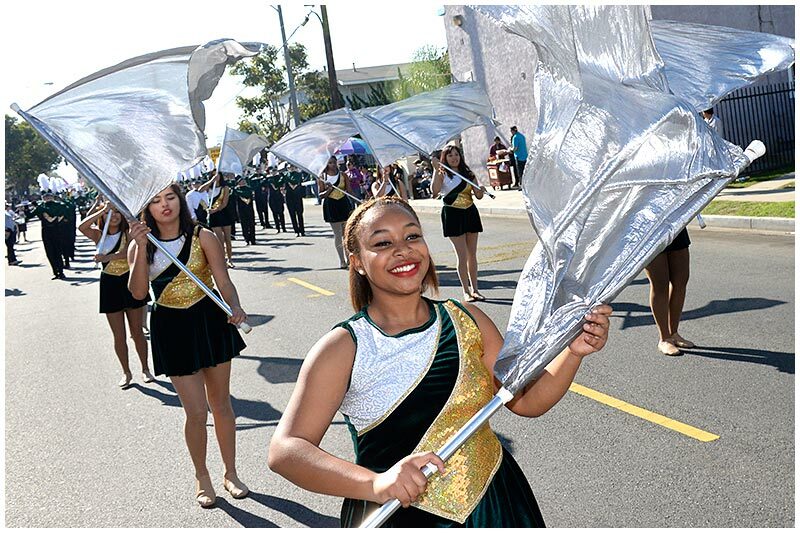 Unity Parade and Celebration in Long Beach last weekend. Participants included the Long Beach Unified School District Board of Education, Superintendent Christopher J. Steinhauser, and several student groups from local schools. Grand marshals for the parade included LBUSD’s Child Development Center Director Cindy Young and CDC Program Specialist Marybeth Murray, along with Luther Williams, a former Poly High School and Wilson Classical High School math teacher who retired in 1995 and remains active in various community organizations. CELEBRATING DR. KING – Jazmine Bryant, a senior at Poly High School, participates in last weekend’s annual Martin Luther King, Jr. Unity Parade and Celebration in Long Beach.